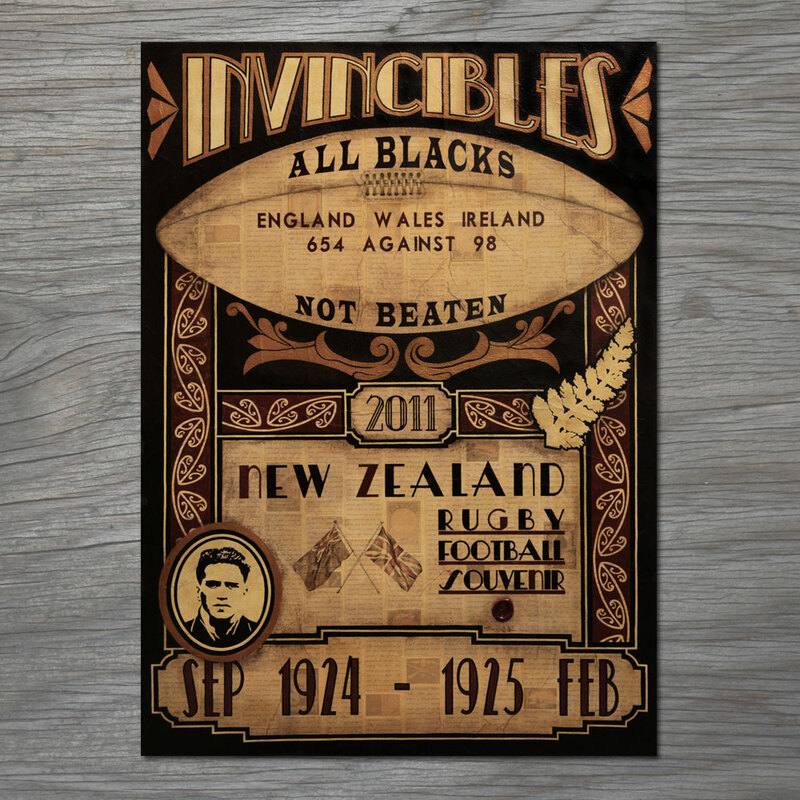 In September 1924 a New Zealand Rugby team departed for the northern hemisphere. ‘The Invincibles’ played 32 matches in total, including games against England, Ireland, Wales and France, winning every single match!! Note: I’d also like to mention here the tradition of ‘Rugby Football Souvenirs’. The souvenir/programmes represent not only the teams, countries and advertising/promotions of the time but also the art & design preferences which inspired the concepts and design of this artwork. This is what was written on the gold medal which was presented to each of the Invincibles by Sir Arthur Myers. The gold detailing beneath the ball is based on the design of the setting which held the medal. The inspiration for this Kowhaiwhai comes from Mangotipi, a traditional Maori design representing the hammer head shark representing formidable strength and resilience. This design is based on the fern which was embroidered on the Invincibles jerseys for the 1924 tour.